We had a fun event at our church this past weekend- Women's Day - a day full of fabulous food, fellowship and awesome workshops taught by women in our church - everything from Gardening 101 to Motherhood to Breadmaking to In the Kitchen (and bunches more). It was so fun to take several different workshops and learn a ton of new things. One class I took was "In the Kitchen" with an amazing cook in our church. She is a fabulous cook and had so many tips, tricks and ideas. She also made fun little cookbooks and had some fabulous food samples. One was cheese straws. Oh.My.Word. 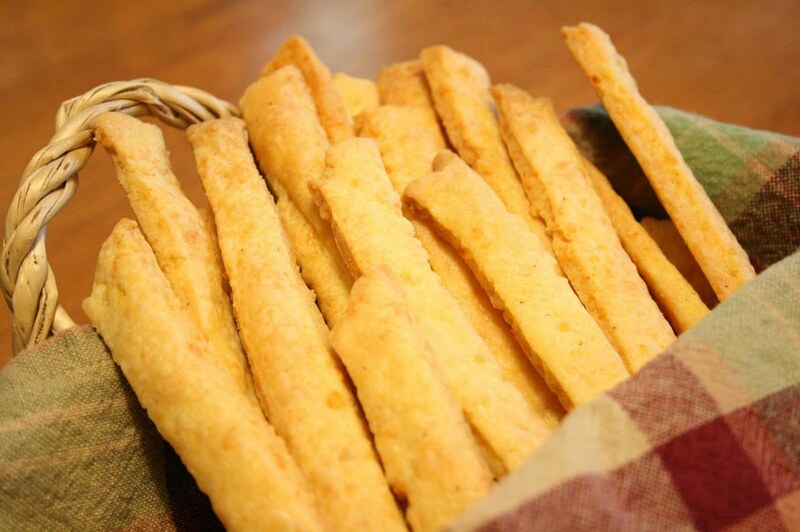 I've made cheese straws before, but they never come out nice and crunchy. Hers were perfect. So Jimmy and I made some this morning (and there are almost none left ;)). These are perfect for the upcoming holidays - perfect for get-togethers, and quite simple to make. Preheat oven to 350 degrees F with racks in upper and lower thirds. 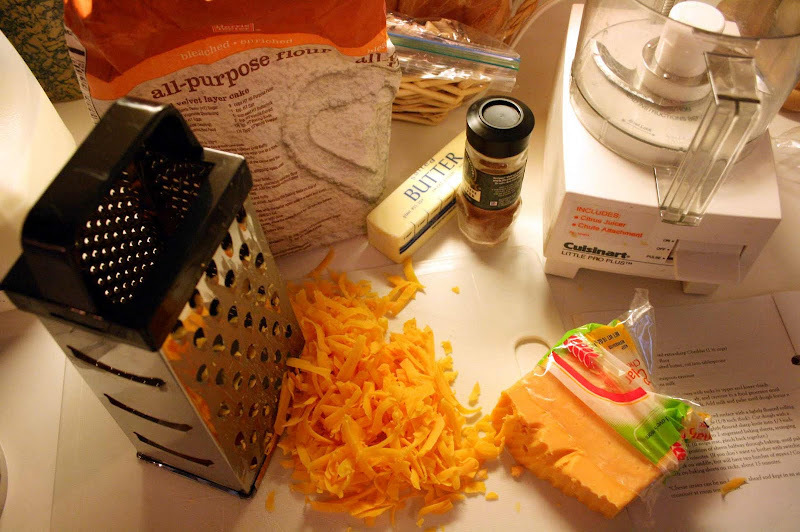 Pulse cheese, flour, butter, salt, and cayenne in a food processor until mixture resembles coarse meals. Add milk and pulse until dough forms a ball. 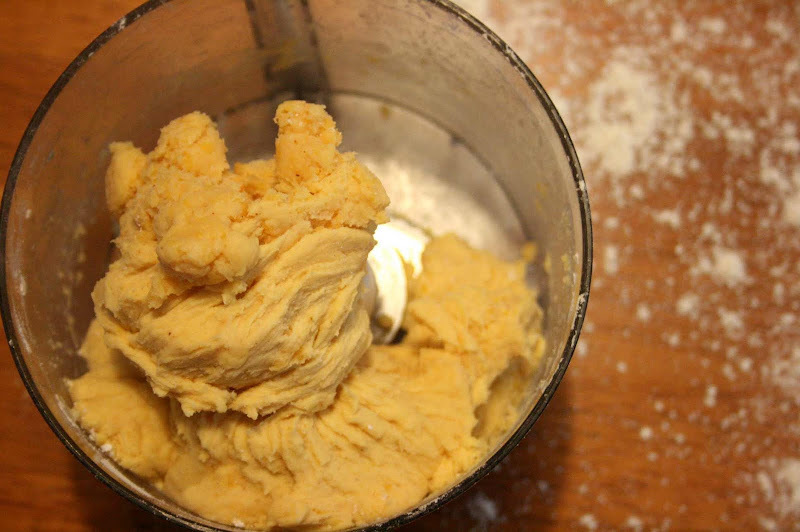 Roll out dough on a lightly floured surface with a lightly floured rolling pin into a 12"x10" rectangle (1/8" thick). 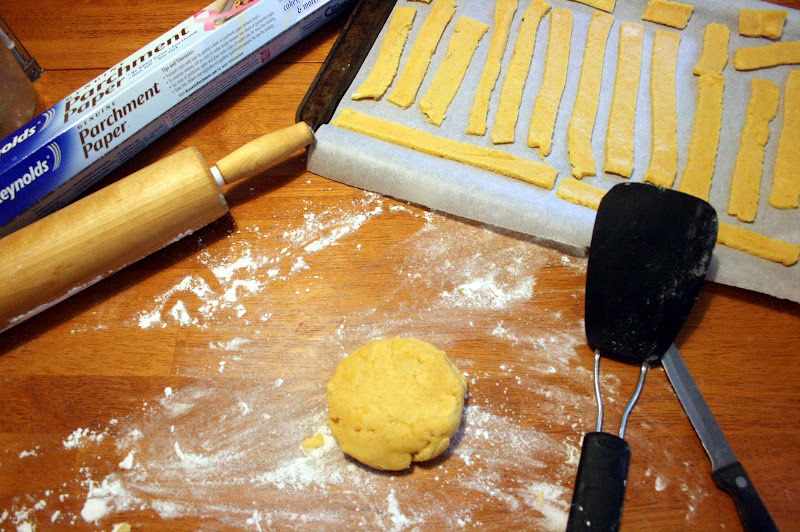 Cut dough with a lightly floured pizza wheel or lightly floured sharp knife into 1/3" wide strips. Carefully transfer to 2 ungreased baking sheets, arranging strips 1/4" apart (If strips tear, pinch back together). 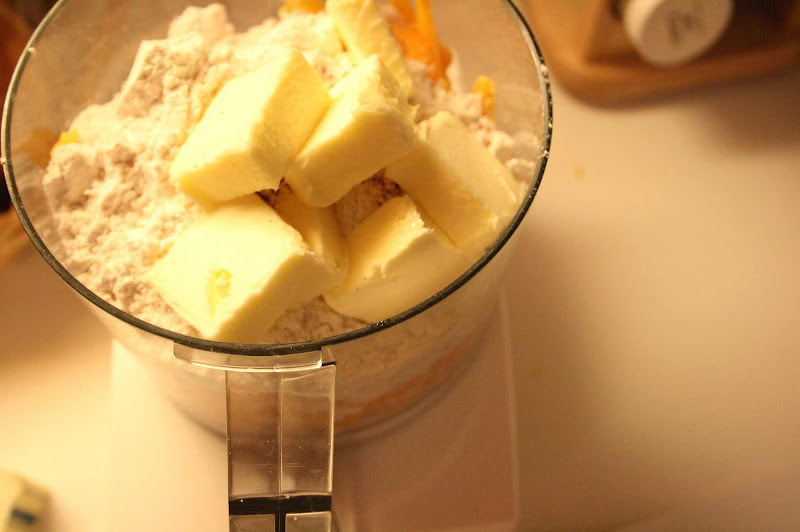 Bake, switching positions of sheets halfway through baking, until pale golden, about 15-18 minutes. (If you don't want to bother with switching the racks, just cook on the middle rack, but will have two batches of straws to bake). Cool completely on baking sheets on racks, about 15 minutes. 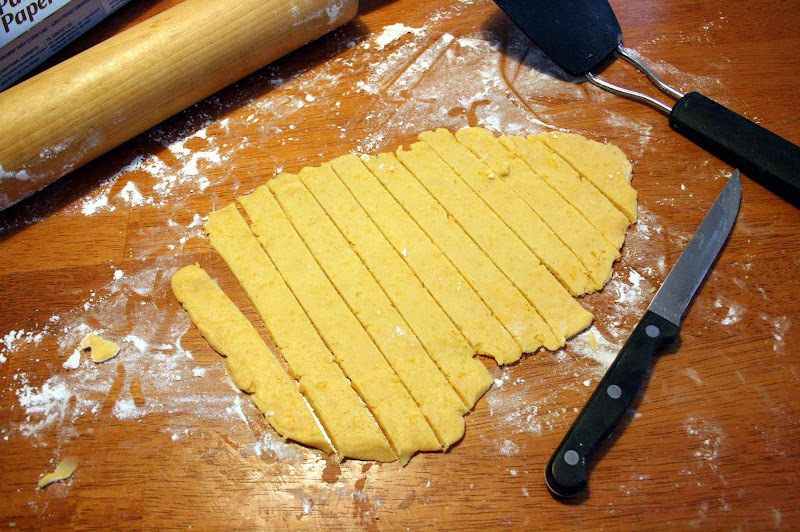 *Cheese straws can be made 2 days ahead and kept in an airtight container at room temperature. Çok güzel gözüküyor bende Kaşar peynir ile denemek istiyorum ( Yellow Cheese )umarım güzel olur. Thanks. Yum! I LOVE cheese straws.